Check out this awsome sculpture done by Alex Merdich, he won best scratch built sculpture at the last 3 Godzilla conventions in Chicago, the Godzilla vs the Wolfman movie was made but never got to the screen, here is a one of, sculpture of the wolfman figure done up with a custom painted (Also by Alex) 62 with a custom base for each figure. Wish they would make a figure of this sculpture!! His work is fantastic. All I did was google the name Alex Merdich and i found his work on his site. sorry,,,i cannot get pics to load..when i figure it out i will post the pics, i hit the option for attachments but it will not open to let me post. Have to figure it out. Welcome to the UMA bigfrankie1940s! i cannot get pics to load..when i figure it out i will post the pics, i hit the option for attachments but it will not open to let me post. Here's how to post photos in a message. I looked for the Godzilla Vs. The Wolfman sculpture but couldn't find it. Here is a pic of a sculpture involving G, Anguirus, Varan, and Baragon, that looks pretty cool. 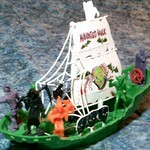 Hey guys, I'm Alex, the guy who made these sculpts you're talking about! I've made several sculpts of the Wolfman. One for Shizuo Nakajima, creator of the film Wolfman vs Godzilla, another for Mark Jaramillo, and one for my own personal collection. 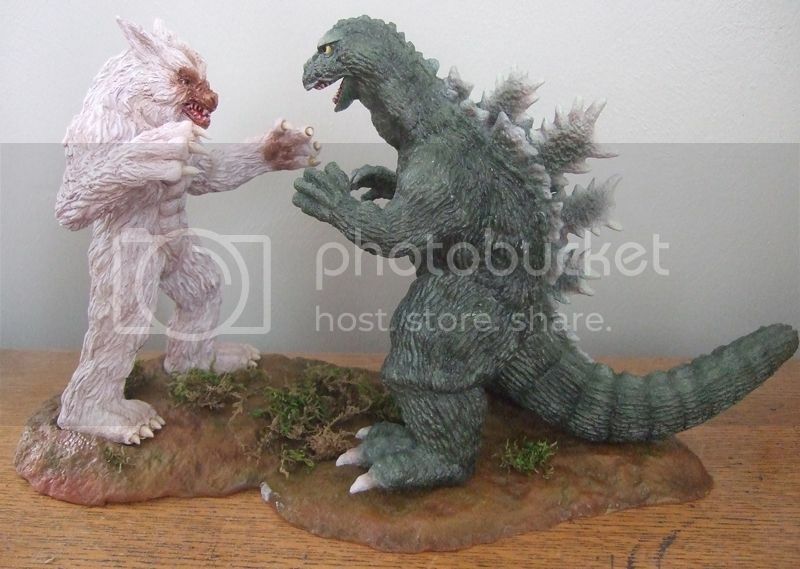 Here's a photo of the Wolfman battling a CCP Godzilla 1962 I repainted. Welcome to the UMA, Alex! Wow! A 500 ft. werewolf!